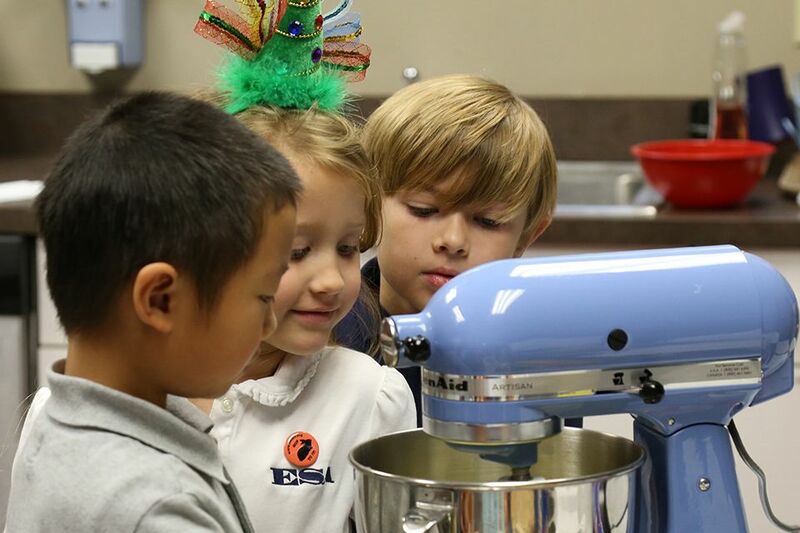 First graders in Mrs. Joanne's class took over the Lafayette Campus kitchens to bake more than 1,000 cookies as part of a service project that grew out of a social studies lesson. During their study of cultural anthropology, the first graders watched a video about children in a Tongan village in Africa, and were moved by the differences between their own comfortable lives and the lives of the children they saw. They decided to host a cookie sale to send a girl to school through Heifer International. With a goal of $275, the class raised more than $700. This semester, they will hold discussions to decide which additional projects to support. View KATC's story on the cookie project here!